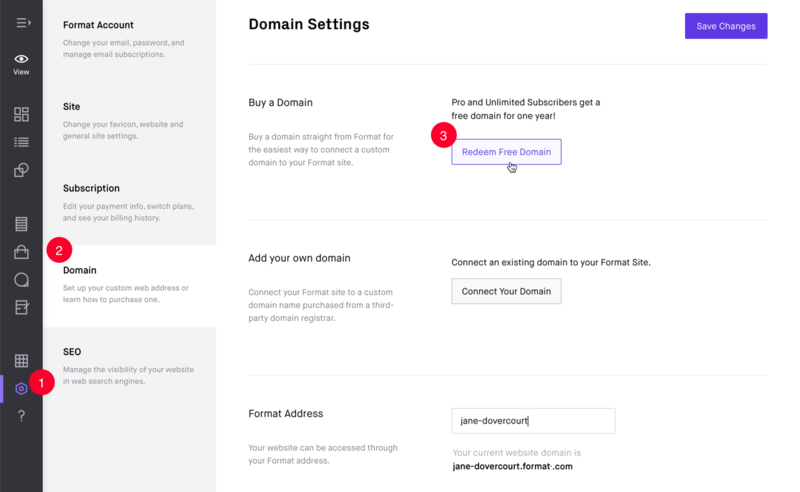 Pro or Unlimited Yearly subscribers can get a free domain from Format for the first year. 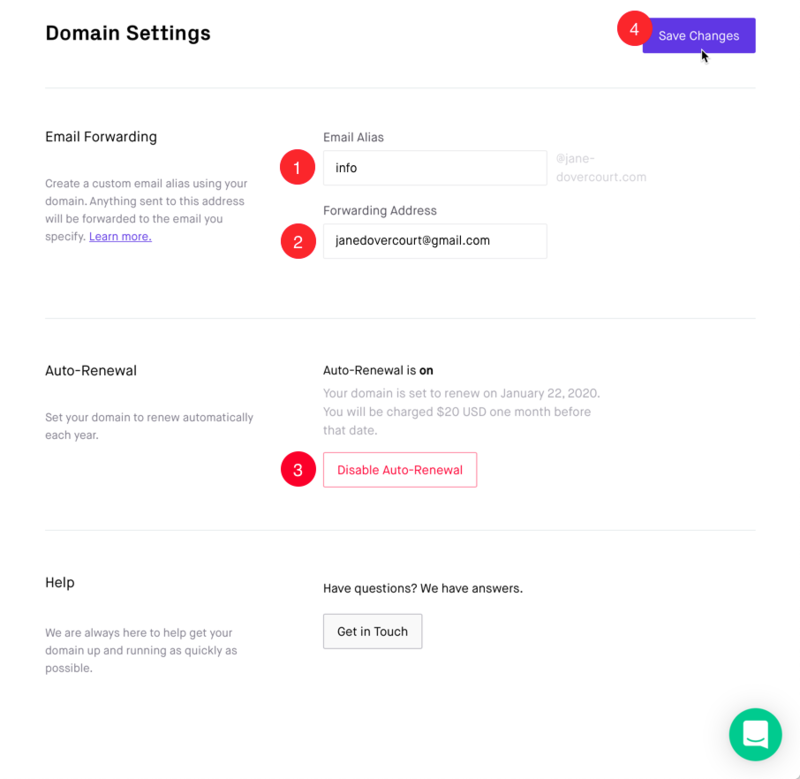 Renewing the domain name for subsequent years is $20 USD per year. 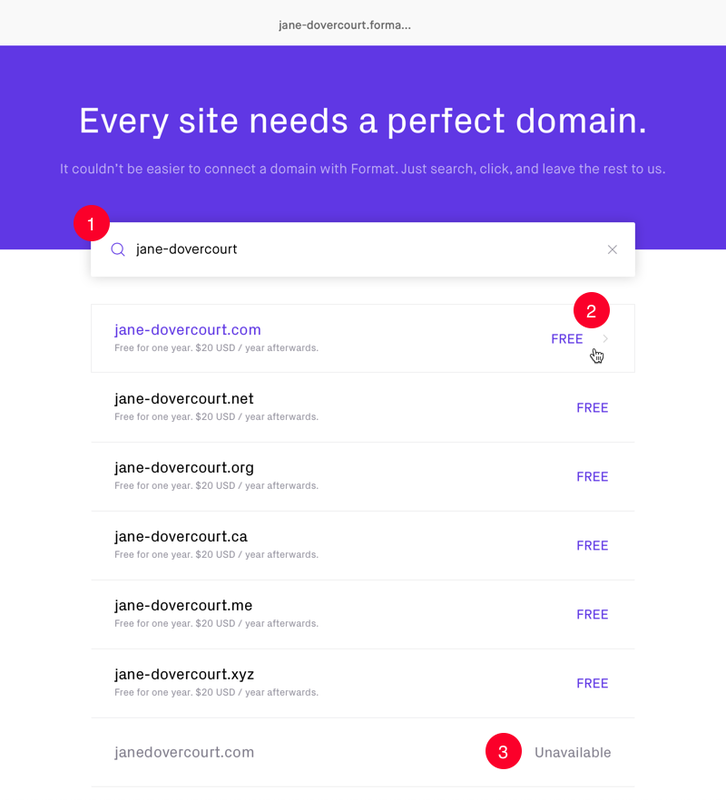 Domains that are similar may be shown or 'Unavailable'. If too close, consider a different name. , .net, .org, .ca, .xyz and .me top level domains (TLDs) are available. 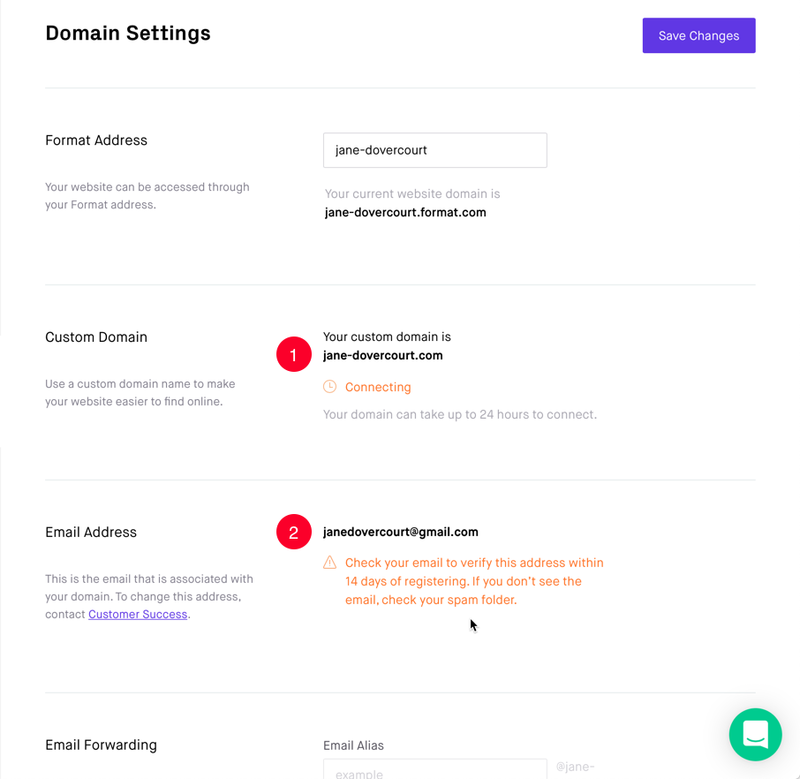 New custom domain shows with a status of 'Connecting'. It can take up to 24 hours to connect. Please check your email to verify this address within 14 days of registering, if you don't see the email, check your spam folder. Different email applications may mark the message as spam, junk or trash. Check all email folders. 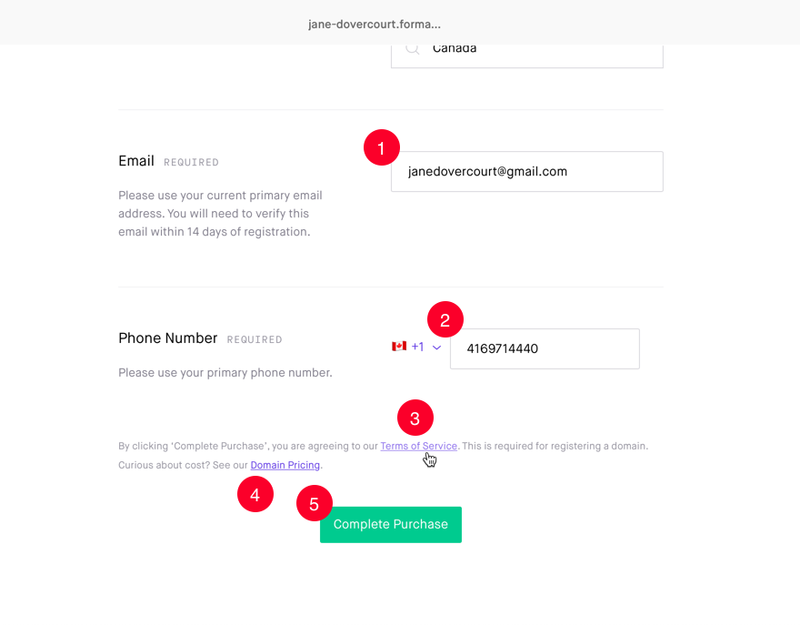 Email Forwarding is only available when your domain has finished connecting. 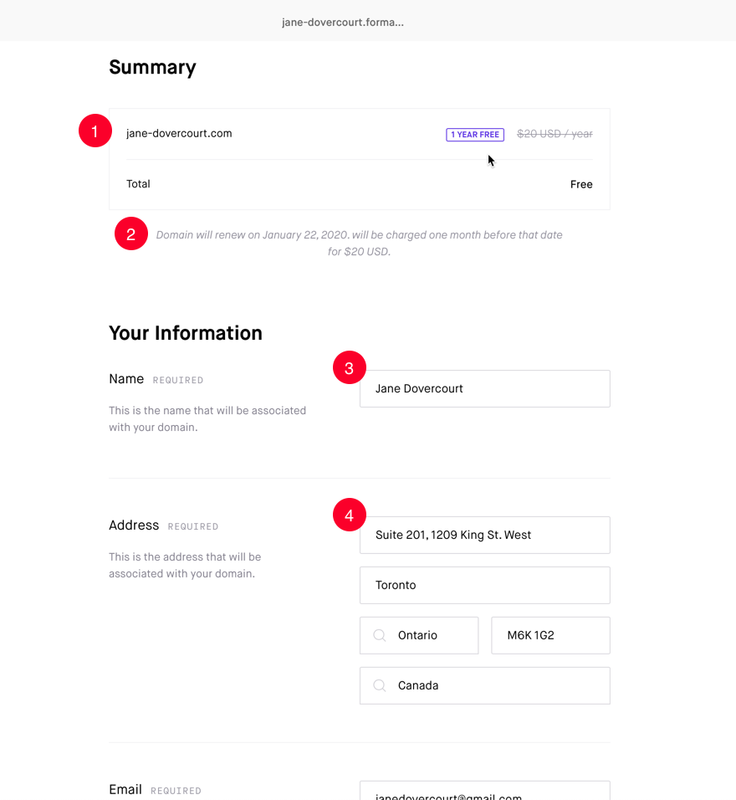 Auto-Renewal is 'on' by default. The renewal date will be shown and the cost which will be charged shortly before this date. Transferring the domain name provided by Format to another domain registrar is not possible within the first 60 days of registering.